Nurse Eva Lewis calls your name and tells you to come on down as if you’re the next contestant on a game show. As she preps you for surgery, she’ll joke with you, maybe even dance with you. Anything to put a nervous patient at ease, she says. And when the day is done she’ll hold your hand as she walks with you to the door. That kind of care earned her the Lois A. Fairley Nursing Award Wednesday. “She is the definition of compassion,” her manager Colleen Lopez said Wednesday at Leamington District Memorial Hospital. Lewis is a well-known Kingsville nurse who has spent her 43-year career at the Leamington hospital. She works in the outpatient surgical unit. Lewis, who was stunned to learn she had won an award, said she was taught to be kind to everyone she meets. She is part clown and part detective digging for information on her patients and caring for them. “You have to perform. You’re on the stage all the time. I dance with my patients and I sing to them,” she said. After receiving the award, she gave credit to her co-workers in Leamington and her patients who reward her by giving her their trust when they are most vulnerable. She said nursing enriches her life but she didn’t realize she had touched other people’s lives so much. Lewis, 65, said she wanted to be a nurse for as long as she can remember. Her baby dolls were her patients. She has no plans to retire. 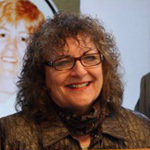 There were more than 28 nominations this year for the seventh annual award that is given by the Windsor-Essex Chapter of the Registered Nurses’ Association of Ontario and is presented by Grant and John Fairley, the sons of Lois Fairley, a compassionate Grace Hospital nurse who died in 2007.